Thank you all very much for supporting our activities. Lately, we have received an ever increasing number of concerned mails and encouraging messages. There are a lot of problems in the exclusion zone now. Besides problems of animals and plants in the zone, decontamination of radiation pollution, issues of nuclear evacuees who want to go home and other various problems are still unsolved. And it's becoming a more confusing period. However, we don't forget our original intent. We continue to make our best effort in issues only we can tackle. We humbly ask you all for your continuing support as we intend to work harder than before. Also, our friend groups - "Guts Fukushima," "UKC Japan" and "Life Investigation Agency (LIA)" - are working hard, too. They are legitimate NPO groups with proper permits. They don't break laws to get arrested like some other people. In Tomioka where I live, the mayor and other officials support our activities. Even police officers don't unnecessarily crack down on animal rescue activities and deter them. We think the situations in the exclusion zone are becoming helpless. We think we need more help from the government. Now we believe we need more support from you all, and we need to stand together. 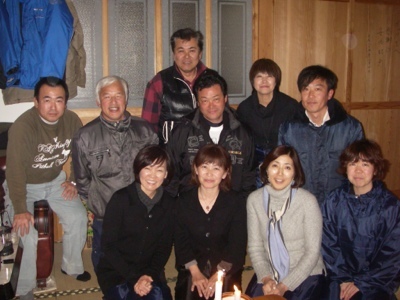 Recently, the prime minister's wife Mrs. Akie Abe came to the zone where a lot of radiation still remains. She didn't even bring protection clothing or a mask. The first lady showed us her support and fed our cows. Mr. Endo of Guts Fukushima and Mr. Hoso of UKC Japan also help me do my rescue activities. Mr. Yabuki of LIA and Mr. Harada of Kyodo News assist me with activity methods. I also consider other encouraging supporters my precious company. I hope members of animal rescue groups and individuals respect each other, not outface, and move toward the same direction to help animals in the zone. Let's carry on the work we do best. 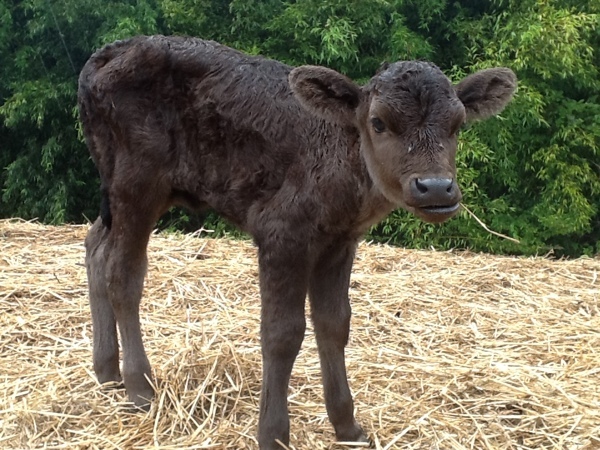 From now on, let's bind together to prevent even one animal from being slaughtered. Please consider this. * In the coming days, I'm hoping to announce a plan Mr. Yabuki and I have worked on, to prevent animals in the zone from getting slaughtered. Soon we are going to update our plan on my blog site and LIA's blog site. We'd like to ask you for your cooperation. 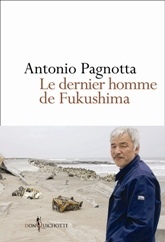 Italian photojournalist Antonio Pagnotta's photography book will be published on March 7 from a French publishing company. He took those pictures in Fukushima's exclusion zone in May, 2011. He said there are a lot of pictures of me in the photo book. If you have a chance, please take a look at it. * Antonio Pagnotta is a first-class photojournalist shooting big news in the world. I'd like to ask a favor of you, our colleagues who do animal rescue activities in Fukushima's exclusion zone. Lately, it's getting harder for me to receive an entry pass for the zone from the town hall. I also confront more interrogation from police while running errands in the zone. Those interruptions might affect on my animal feeding activities. To tell you the truth, I'd like to go cover the larger area of the zone, check all the abandoned animals' health conditions and feed them all, if possible. However, I'm running short of manpower. As I wish to have such an ideal day for the animals, it's not effective to have the time like an interrogation by a police officer. Both police and town hall officials are making their best efforts themselves. I bet you and I, and anybody else who works hard for abandoned animals, worry about their lives and hope to save as many lives as we can. To do so, to save as many lives, to feed as many animals, I'd like to ask you all to think about what's best for the animals once again. We should reflect on what we have done. Off I go today, too, with vigor! 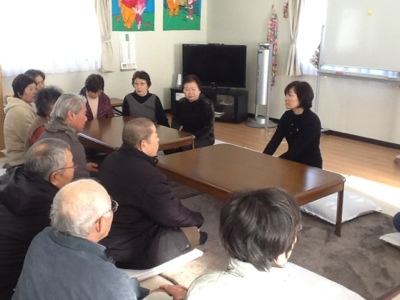 On Feb. 4 and 5, First Lady Akie Abe visited devastated areas in Fukushima. 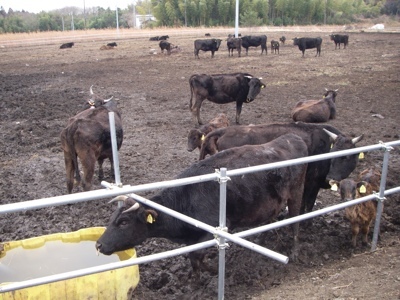 This is inside the evacuation zone, at the Matsumura Naoto Ranch #2. The first lady and cows are playing. It seems the first lady's smile entices both people and animals! 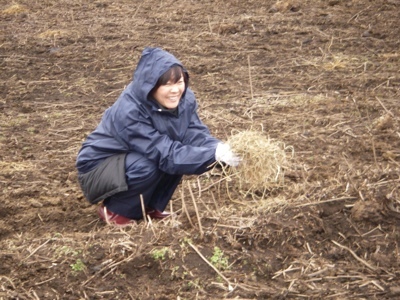 All the colleagues working in the exclusion zone are happy with First Lady Akie Abe's visit! 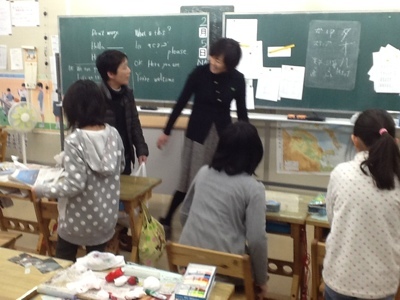 The first lady also visited temporary housing in Miharu and a temporary elementary school in Tomioka! 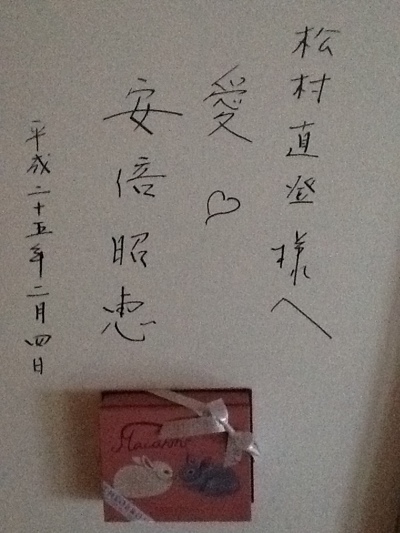 We received a souvenir with a drawing of rabbits, an autograph and smile from her. We were inspired to "keep working hard!" for animals in the exclusion zone. Victims of the disaster also said, "We can still carry on in the hard living conditions at our temporary housing!" Thank you very much, First Lady, for coming to Fukushima and even into the exclusion zone!